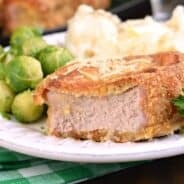 Who said Meatloaf is boring? 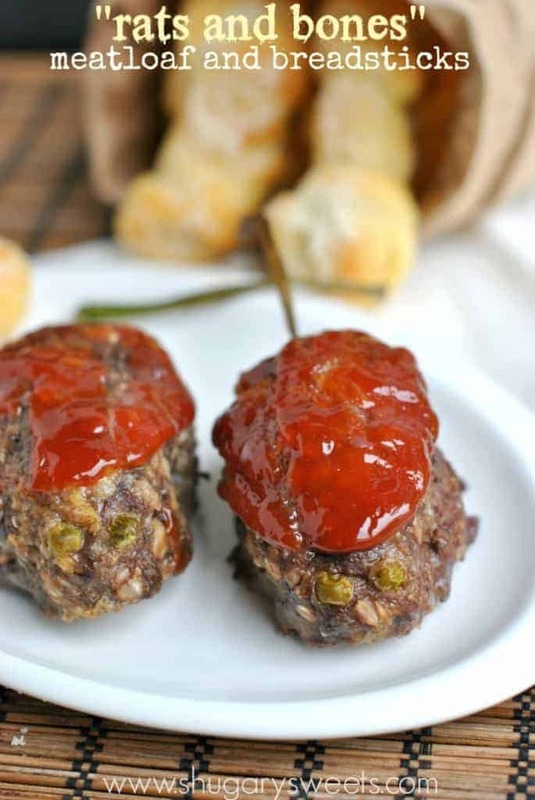 Surprise your family with some Bloody Rats and nobody will call your meatloaf boring ever again! Don’t forget a side of Bones (parmesan garlic breadsticks)! As a food blogger, there is so much more than baking/cooking and sharing it on the blog. As you already know there is photography and social media. But there’s also SEO (search engine optimization). That’s where you want to make sure you have the perfect title on your recipe so people will find you. Ummmm….what? Bloody Rats and Bones? I’m a bit afraid as to who might find me today. Seriously, who searches for bloody rats and bones? (don’t answer that). I don’t think I want to know. But forget the SEO on this one. It’s time to make a delicious Halloween dinner. Or April Fool’s day. Or, if you’re Survivor fans like my family, a Wednesday night dinner idea. This recipe makes 12 rats (or mini meatloaves). Each one is the perfect portion size for my hungry eaters. But, you can also freeze these after baking if you prefer. Or divide the recipe in half. Or invite over a bunch of rat eating friends. Your call. But whatever you do, don’t forget the bones. The garlic parmesan breadsticks are the perfect complement to this meal. And with a can (or two) or Pillsbury crescent rolls, they whip up in a jiffy! I would say my family LOVED this dinner. But then, I wouldn’t be honest with all of you. Apparently my son (he is 17yrs old mind you) has an aversion to eating food that resembles dead animals. I mean seriously? It’s not like you’re actually eating a rat. But dry heaves commence and he just can’t take a bite. You may remember him when I talked about the ultimate April Fool’s Day prank. I really shouldn’t be allowed to have a food blog. That April’s Fools prank is always popular on that date…and the SEO…well, let’s not talk about it. You would be sickened to know some of the search terms that people use to find that blog post. ICK. Anyways, I promise you this meal is delicious. 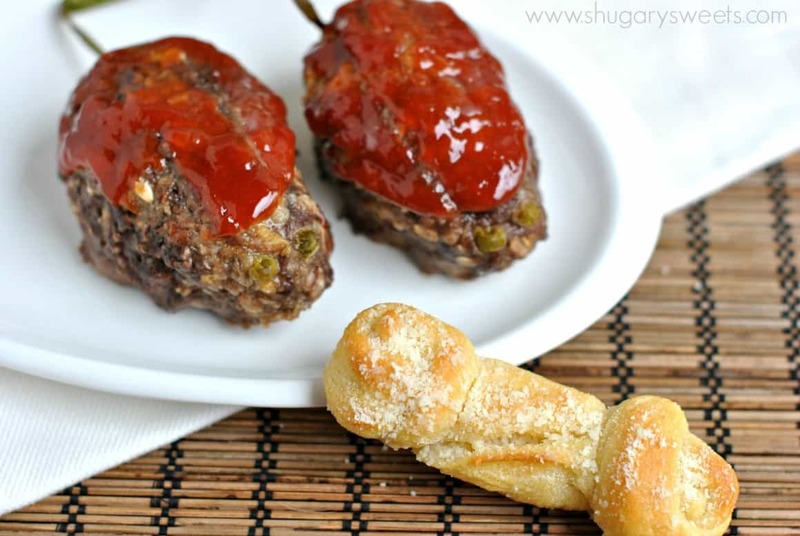 If you don’t want to make it rats and bones, just make meatloaf and bread sticks. Keep the peas (eyes) and the green onion (tails) off the meatloaves. For the “bones” just roll your crescents like normal, and brush them with the garlic parmesan when they are done cooking. DELICIOUS meal people. ENJOY the little varmint. 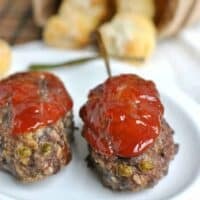 For the meatloaf, combine the ground beef with salt, onion, garlic, oats, cheddar, milk and eggs. 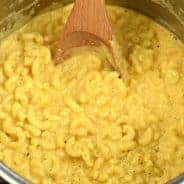 Mix with your hands in a large bowl until thoroughly blended. Shape into 12 ovals on two large baking sheets (with 1inch sides). If making rats, press peas in the front as eyes, and onion in the back as tails. In a small bowl, whisk together the ketchup, brown sugar and mustard. Spoon over meatloaf. Bake in a 350 degree oven for about 40-45 minutes. For the bread, unroll each package of crescent rolls and separate the triangles. Gently roll each triangle into your hand, into a small rope. Carefully tie a knot at the ends of each rope. 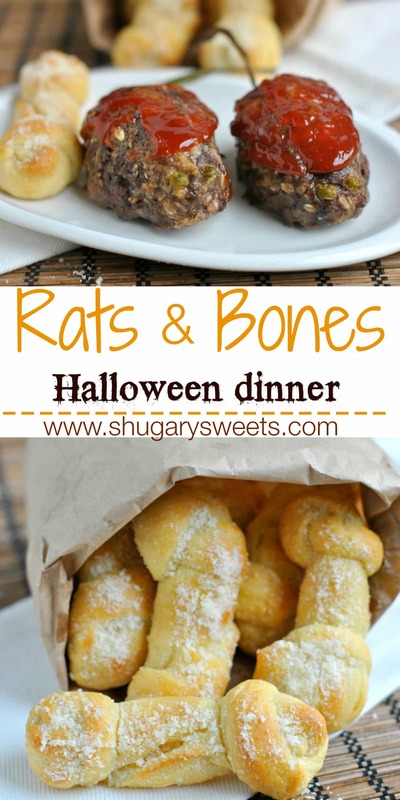 Place "bones" onto parchment paper lined baking sheet. 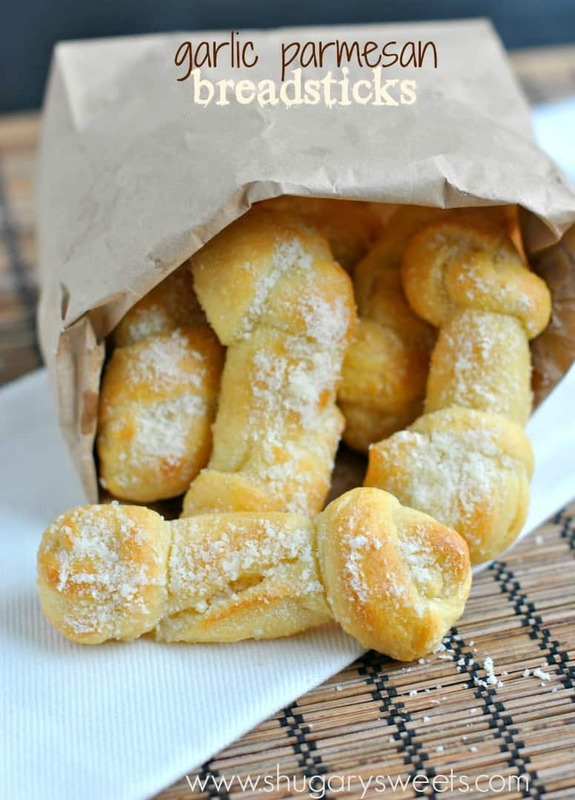 (If you are not making bones, just roll up your crescents as package directs). Bake in a 375 degree oven for 11-13 minutes. I can’t decide if I love this or am totally grossed out! A little of both I think… Which is exactly what Halloween is all about! So creative!! This is so creative, Aimee! Love it! 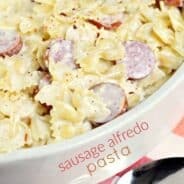 I will have to make it for my kiddos! Pinning! This is gonna sound weird, given the rat factor, but this is so cute! I love this idea! And it’s too delicious as well. Nicely done! You are a brave, creative soul, Aimee. I would be afraid of my family’s reaction if I set these on the dinner table. But then again, Halloween is supposed to gross and daring, right! Pinned! What a fun recipe, Aimee! I’ve always loved fun Halloween foods and this is just perfect! It is almost too scary to eat! This is possibly the scariest food I’ve ever seen! Ahhhh! I love these! Totally have to make them for my boys! The name almost made me gag. Not for me. Well, you know I am going to HAVE to make this for my boys, right Aimee? Just perfect for Halloween! Pinned! What a cute idea, and the recipes look great! I bet your kids were thrilled. I LOVE this idea! Halloween is too fun to not eat scary food like this! Way to go Aimee! Lol… I love it. Yeah, good luck with the weirdos who find this post. This is so creative and fun for Halloween! Aimme I love this idea. 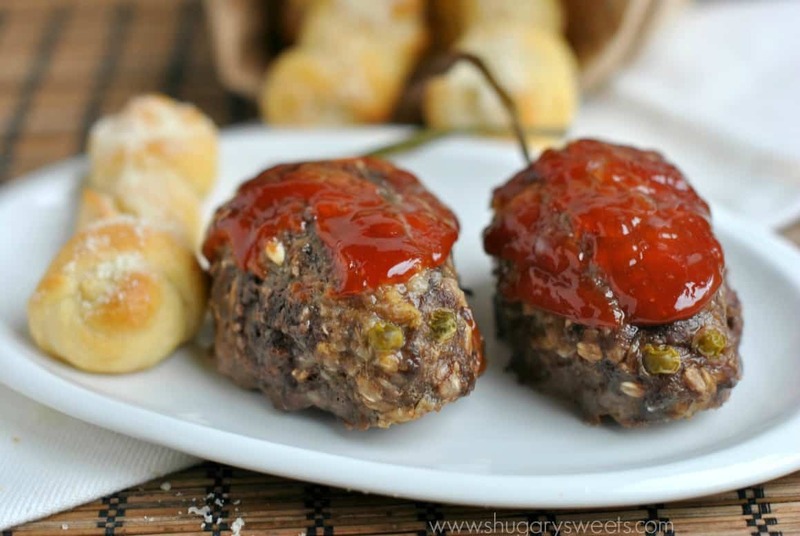 Meatloaf is just so comforting and perfect for Autumn and you totally spookified it! (is that a word? It’s telling me it’s not but you get me) What a festive dinner for Halloween! *Aimee . Ugh. Spelling fail. Hi, Neat post. There is an issue along with your web site in web explorer, might test this? IE still is the marketplace chief and a big portion of folks will pass over your excellent writing due to this problem.